A December 2011 Article By Keith L. Seitter Titled “Dealing Honestly With Uncertainties In Our Understanding Of Climate Change” | Climate Science: Roger Pielke Sr. 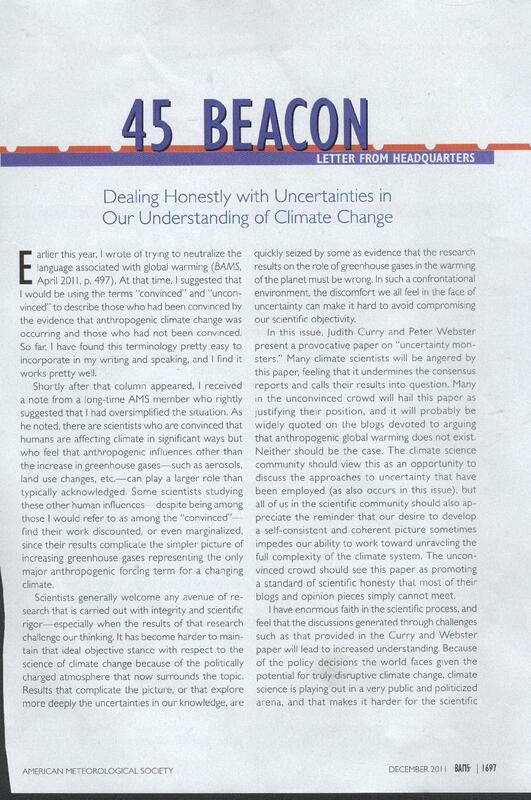 In the December 2011 issue of BAMS, there is an article by Keith L. Seitter titled “Dealing Honestly with Uncertainties in Our Understanding of Climate Change”. Unfortunately, BAMS does not have this “Letter from Headquarters” in an electronic form, so I have reproduced below. We need more such candid comments from the leadership of our professional climate science communities.